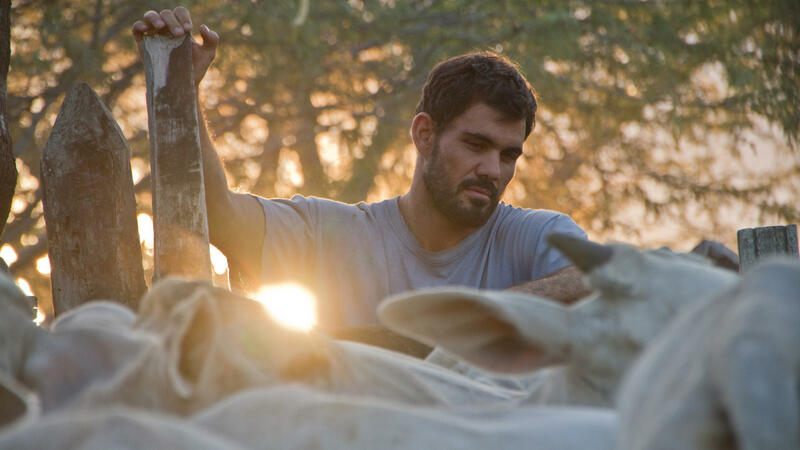 Iremar is part of a rodeo troupe that tours the Brazilian northeast. His task is to send bulls into the arena. Intensely exciting physical scenes alternate with contemplative episodes that sketch a painterly portrait of the members of the troupe. Cameraman Diego Garcia maintains a documentary-like aesthetic to render the dynamics inside the arena. It is a somewhat loose style, combined with symmetrical tableaux reminiscent of the paintings of Johannes Vermeer. The camera is an observer that picks up everyday conversations, such as the whimpering of youngster Cáca. It is also an instrument of wonder, such as during the remarkably lit dance performances of mother Galega. Seen in this way, the film can be compared to a meandering river. During its quieter stretches the viewer gets to marvel, while its sharp bends expose the changing society of Brazil. It all adds up to a harmonious account of how tradition gradually gives way to industry. International award-winners, big names, festival favourites. 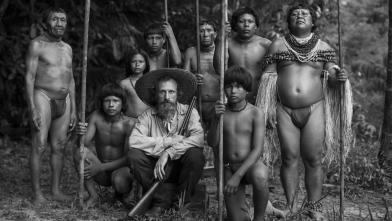 Amazonia at the beginning of the 20th century. A time in which new territories are being mapped and local populations are oppressed. An unusual encounter takes place between two explorers and a shaman, who embark on a dangerous journey through the jungle together. Filmed in breathtaking black-and-white. Incisive drama about raw grief and suffocating love, or the incapacity thereto. A divorced woman who has just lost her son and a homeless boy with criminal inclinations develop an unusual relationship. With an impressive leading role by Rachel Griffiths (Six Feet Under, Hilary and Jackie). While Scheherazade wonders how much longer she’ll be able to distract her cruel husband with stories, we discover how the love of birdsong came to Portugal from Flanders after WWI. In spite of the crisis, men from all kinds of backgrounds find one another in their aviary passion. A sensitive slice of life as conclusion to an idiosyncratic trilogy.